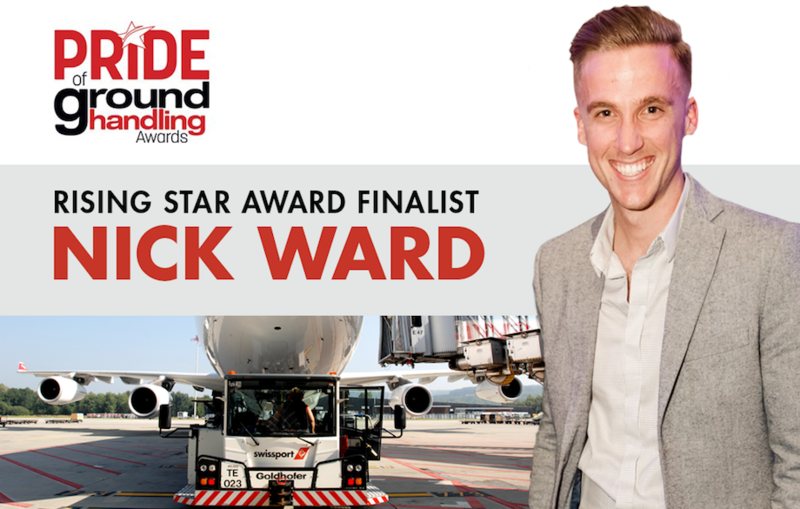 Swissport’s Nick Ward has been named a finalist in the GHI Pride of Ground Handling Awards, a new program to celebrate excellence across the globe. Nick is in the running for the Rising Star Award, which celebrates a leader under the age of 30, ideally “a go-getter with an ability to deliver results, inspire their colleagues and come up with innovative business solutions”. Nick joined Swissport (then Aerocare) nine years ago as a customer service agent in Townsville. His career progressed quickly and three years ago he was appointed Operations Manager for Tigerair at Brisbane Airport. Recently Nick has been Acting Airport Manager at Brisbane Airport. Nick has introduced many initiatives at Brisbane Airport to ensure maximum performance and efficiency and he has also focused on boosting training and development, particularly in the areas of leadership, driver and tow training. Swissport Pacific CEO Glenn Rutherford congratulated Nick on his achievement. “Nick is very highly regarded both within Swissport and with our airline partners both for his customer focus and as a creative problem-solver,” he said. Winners will be announced at an awards ceremony at the 20th Annual GHI Conference in Gothenburg, Sweden on 27 November. Swissport International AG, on behalf of more than 850 client-companies, provides best-in-class airport ground services for some 265 million passengers annually and handles approximately 4.7 million tonnes of air cargo at 133 warehouses worldwide. Several of its warehouses have been certified for Pharmaceutical Logistics by IATA’s CEIV. With a workforce of 68,000, the world’s leading provider of ground and air cargo services, is active at 315 airports in 50 countries across all five continents. In 2017 the group generated consolidated operating revenue of EUR 2.8 billion.